Thank you for visiting. 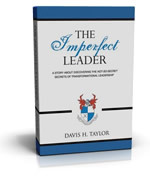 Please click a link above to learn more about Davis H. Taylor, The Imperfect Leader, and the various resources we offer. Davis and his team at TAI Incorporated specialize in maximizing leadership effectiveness, developing high performance teams and creating optimal performance cultures for leaders and organizations of all types. At the core of our teaching and beliefs is the importance of Values-based Leadership, a proven leadership model for sustainable, transformational change and growth. 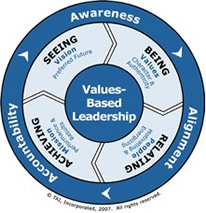 Value-based Leadership training enables leaders to effectively engage, motivate and develop their followers for enhanced execution, performance excellence and outstanding results.